Thanks to Street Sniper for this article! Ok, this is not a comprehensive pictorial, but we get plenty of questions about it so I took a few pics while I was under there. Also, I have only ever done my 5th gen so I am not 100% sure about other generations, so if anyone else has any input, feel free to chime in. This a no brainer, but I always feel like I have to reiterate putting it up on stands. 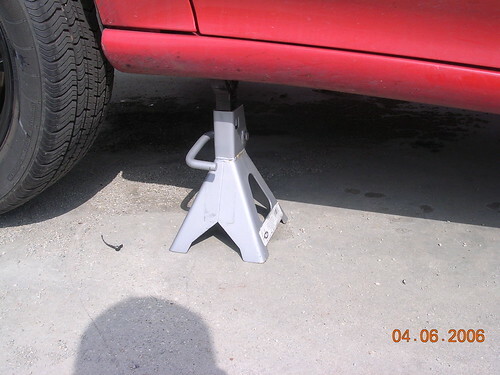 Don't get under there with just the jack holding it up. I tried it both ways and it's just as easy to jack up one side as it is to do the front, so take your pick. 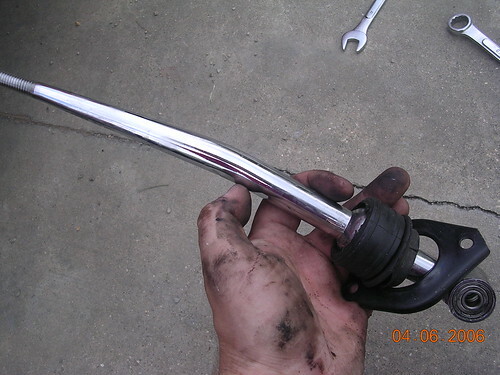 Before we get under the car, most people will tell you that you have to drop a section of the exhaust to do this, and while it will make the shifter removal and install easier, it's not gonna save you any time, and if your exhaust bolts give you any trouble at all, it'll be way more trouble than it's worth. I have done it both ways and I much prefer making things hard on myself, umm... I mean, I don't like disassembling things I don't have to. 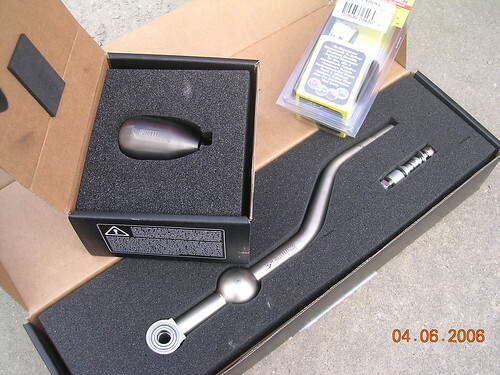 On that same note, you don't have to disconnect the linkage from the car, but unlike the exhaust, this will make it easier. Ok, this is the meat and potatoes of the whole evolution. 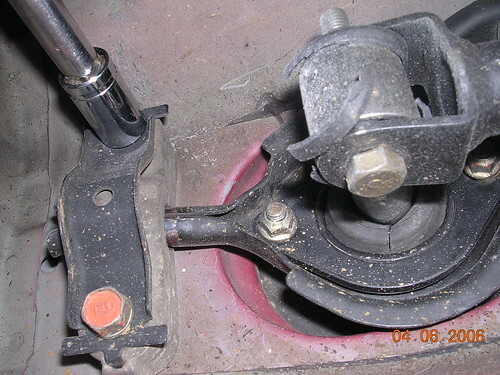 You can do the whole thing from this pic, unless you are changing the bushings, then you need to get to the other end of this thing (linkage). It's those two 12mm, two 10's and the 12mm bolt connecting the shifter to the linkage. The two 10's are one sided deals, I'll show you a pic in a sec. 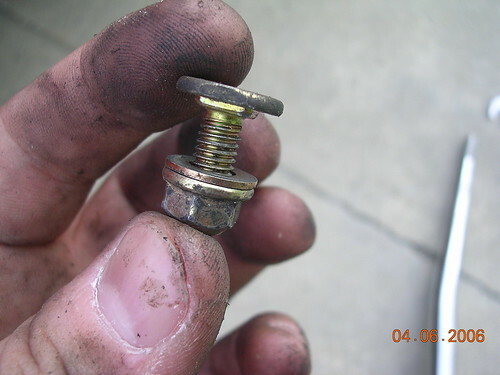 Here is one of those stupid bolts. 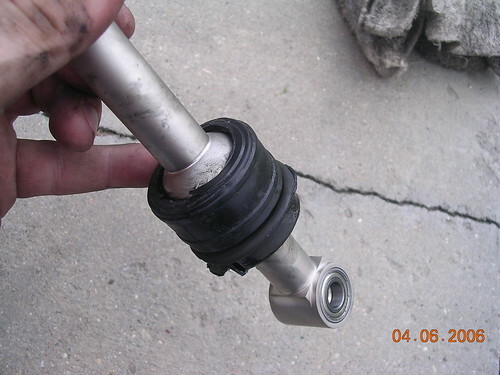 Easy when you have the linkage out. A minor pain if you don't. I didn't bother to take a pic of the other end of the linkage, but just follow it toward the front and it's one 12mm bolt with a stationary nut. The new one with the old boot. ...and if I may borrow a quote from Hayne's, "Installation is the reverse of removal." Just a little side note. That cheapo ebay one was totally worth the 15 bucks I paid for it, but only because I couldn't afford a quality one at the time. If you only have a few bucks and zero ability to save (like me), the generic one will tide you over until you can get a nice one. I was surprised at how nice the Skunk2 unit is and I am usually not a label *****. 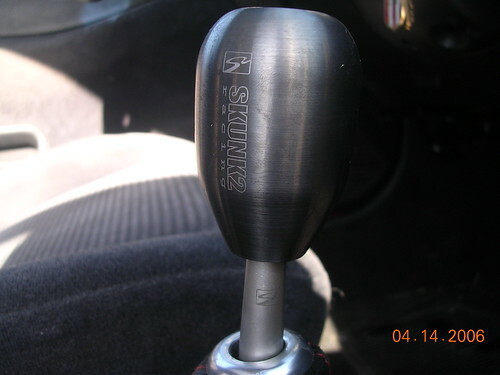 The Best Short Throw Shifter... Skunk2, AEM/DC Sports or Revo? 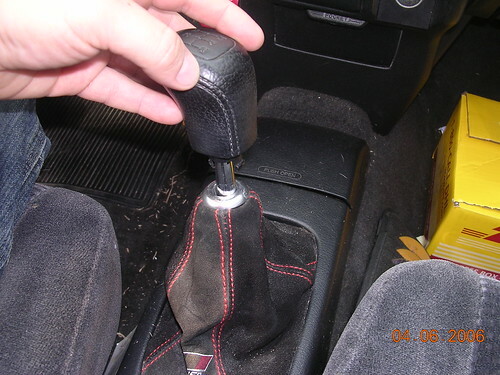 short throw shifter? why so cheap?